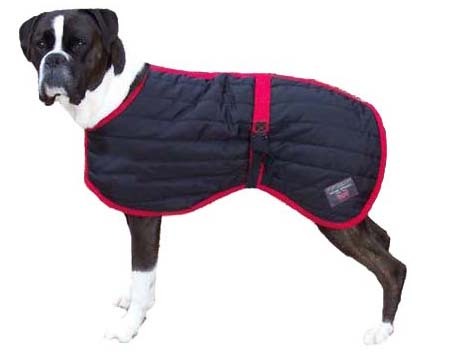 Double thick fleece coat for indoor or outdoor use. Soft and warm made from Sherpa Fleece. This coat is for an 'A' measurement of 19 inches. Please ensure you measure your dog before ordering. The Flectalon we use is made to Gillrugs own specification. The outer cover is extra tough shower proof nylon, and the lining is a smart poly/cotton mixture. Ideal for elderly, arthritic or sick dogs. Excellent to put onto cold, wet and tired dogs after work or play. Cosy for the dog which feels the cold or is kennelled. Machine washable at 40 degrees with a non-bio powder or liquid. Comes with leg straps so please untick the option if you do not want them.